The US Capitol Wreath is the most popular of the Society's ornament series. 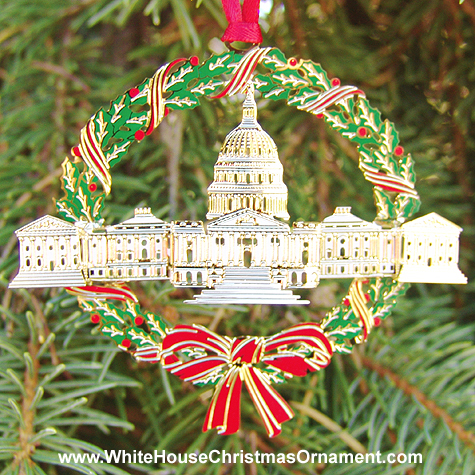 It features a 24kt gold-plated Capitol in three-dimensional relief encircled by a colorful, painted wreath. Gift boxed with provenance card.